Anguilla is a small island in the Caribbean, home to many incredible beaches, such as Meads Bay (pictured here). This page will link you to every issue of the Bob Green's Anguilla News from 1995 to 2005, including translations into Italian, German and French. Regardless of which date you select, each issue has a link near the bottom to the previous issue. 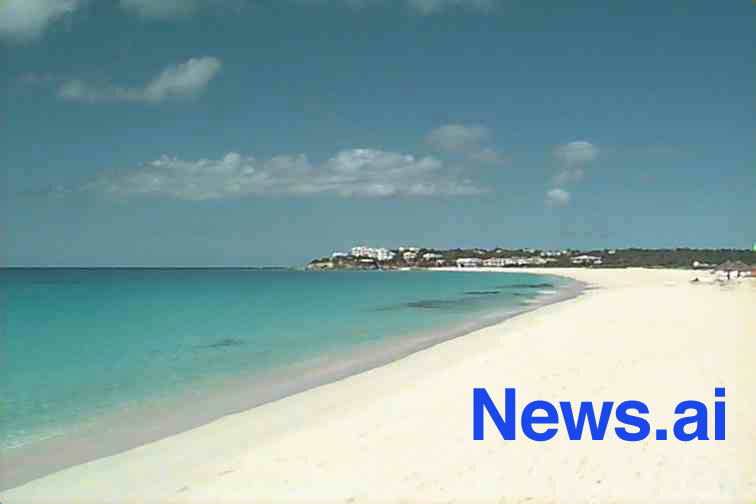 Anguilla News was restarted in 2011 as a resource for "what's going on now," resuming the tradition for Anguillians and Anguillaphiles. Best Anguilla site for tourist trip-planning.